variety of rare species of the underwater world. 100 spacious chalet-style guest rooms (some interconnecting) in elegant surroundings with private patio. Large bathrooms with hair-dryer. Rooms have individual remote controlled A/C, deposit boxes, international direct dial telephone, minibar, remote controlled TV with satellite channels and radio. Al Sawadi Beach Resort Barka cuisine is the melting pot of Middle Eastern, classical and new Continental cuisine, accentuated by the colourful food of Asia. Al Sawadi Beach Resort Barka internationally experienced Chef prepares the most appetizing display from every corner of the world - you just have to stay with us long enough to sample them all! With the banqueting and conference facilities, the Resort is the perfect location for business functions. All conference rooms feature user-friendly boardroom facilities, including presentation systems, multimedia equipment and LCD. Conference packages can be tailor-made to meet individual needs, and a variety of lunch options including working lunches, buffet lunches or a selection of set menus from the resort’s range of superb restaurants can be arranged. While the main banqueting and conference hall caters for up to 200 people, there is also a choice of smaller meeting rooms. The Resort caters for up-to 200 people indoors and for larger outdoor functions of up to 1000 guests on the lawns overlooking the ocean or at any outdoor venue in the resort grounds. 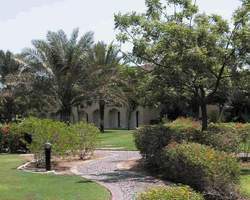 When it comes to sports and recreation the Resort has some of Oman’s finest facilities to offer. With its private, secluded beach almost all adrenaline-pumping water sports are available which includes Jet ski, water ski, sea kayaks, aqua bike, pleasure boat trips, banana boat, tube rides etc. The beach activities also include quad bikes, beach volley ball, beach football, horse riddingand camel riding. The leisure facilities include from a temperature control swimming pool, outdoor Jacuzzi, sauna, 9 hole putting green, state of art gymnasium to tennis and squash courts. The nearby Sawadi Isles and unique Daymaniyat Islands are ideal for snorkelling and diving.